Regardless of what one’s business or the purpose of their website, there is no success without conversations. Traffic is definitely helpful, and is the goal of every online commerce site. But all the traffic does not matter if none of the visits convert to product purchases, contact about one’s services or signing up for newsletters. With a professional, one will benefit from the hours they spend designing, tweaking and testing one’s landing page to boost conversion rates. However, not everyone can spend hours doing this, or has the luxury of hiring experts to do this for them. Another option is to go for the custom templates, which are also just as pricey. The dilemma of turning traffic into revenue without necessarily spending too much is what motivated the developers of WP profit builder. The market is flooded with many WordPress plugins and themes which are designed for landing pages. So what exactly sets apart this tool from the rest? 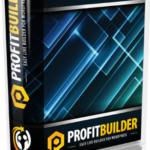 The WP profit builder tool is a quick and easy to use tool. A lot of it is straightforward and self-explanatory. One can literally publish a professional looking page in less than five minutes. Another advantage is the fact that it has more than 60 templates from which one can choose. One can either customize and modify any template, or build their own from scratch with the drag and drop editor. The plugin also has the useful live preview tab, which lets the user see what they are doing without necessarily having to switch tabs. The drag and drop editor has many different modules, including text and images, audio and video embeds, buttons, countdown timer, testimonials, pricing tables, graphs and charts. All designs in the plugin are designed to look good on any screen size, and user can add background videos to any page. 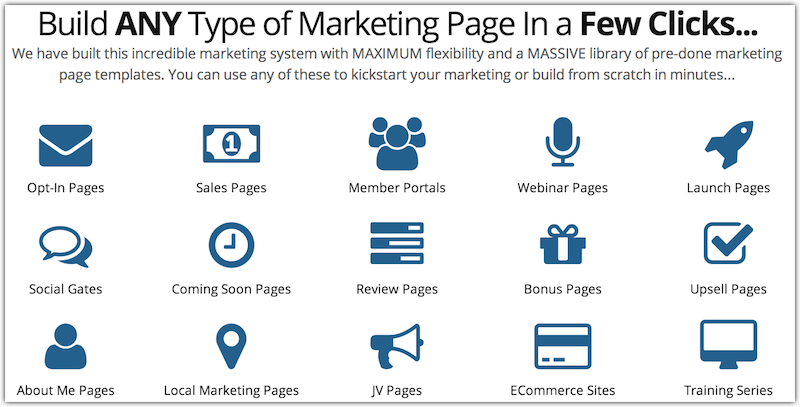 It also has many integrations, like MailChimp, Aweber, PayPal, Clickbank, WooCommerce, GoToWebinar, Constant contact among others. The biggest advantage, though, is in the pricing. There are no monthly or annual fee, only a one off fee, which comes with a guarantee full money back guarantee within 60 days. It is ideal for building an email list, running product reviews, an ecommerce site or for professional blogging. This is the principle task of WP Profit Builder which at achieves by letting a user simply drag and drop. The high converting marketing pages are responsible for creating a platform on which the desired traffic can be harnessed from the internet platform thereby ensuring a site receives the ranking it merits. Users can boast being able to utilize any WordPress theme they desire when working with their tool. It affords users the flexibility to work with the theme they deem fit and that which will appeal to their target market. With that, the power of management of the ecommerce process is given to an individual and this is the exact factor that builds confidence and unique strategy. A user can be able to effectively embed videos successfully when using this plugin thereby allowing the target market to get a view of the customizable designs that make the difference. Embedding videos also ensures that the pages that are linked are quality oriented and that search engines are able to associate them with quality linkages which earn rankings. The plugin is optimized for both mobile and tablet devices which means that users can get to utilize the tool with different technological devices and achieve the perfect results. The optimization for the devices gives a wider scope of operation which establishes a successful pattern of SEO for the clients expected to view the content and generate linkage to the site. Another major upside to using WP Profit Builder is the fact that a user gets to decide and choose which background they want to employ for the pages they design. As landing pages, customizing the same will give more appeal which ultimately drives the traffic. An individual can also enjoy the advantage of getting to choose the graphics they will utilize for the pages they create. With the plugin working to ensure that the perfect page is structured, a user can be able to customize the same pages by selecting the graphics that will be utilized to make the page stand out as a traffic hub. The process of saving the marketing pages is cumbersome since it needs a double saving process. This means that for beginners, the process can easily confuse and cause some frustration but once it has been mastered becomes easier to juggle through. This editor has bugs especially when the text code is being utilized and this causes incorrect working. This may lead to individuals being frustrated at the operational limitations that the bugs bring to the fore.